This coming week on Monday Night Raw and SmackDown Live, Superstars from both brands are going to be eligible for a possible brand switch. The WWE Superstar Shakeup first came into being in 2002, when Vince McMahon and Ric Flair chose a bunch of Superstars to switch to their respective brands. At the time, it was called the WWE Draft Lottery. WWE turned the Draft lottery into an annual tradition, with Superstars switching brands every year in order to freshen up things. The Superstar Shakeup ended up revitalizing the careers of mid-carders and jobbers. On the other hand, there have been instances when the Shakeup proved to be lethal for a Superstar, and ruined their career. Let's take a look at 4 Superstars whose careers were ruined courtesy the Superstar Shakeup. 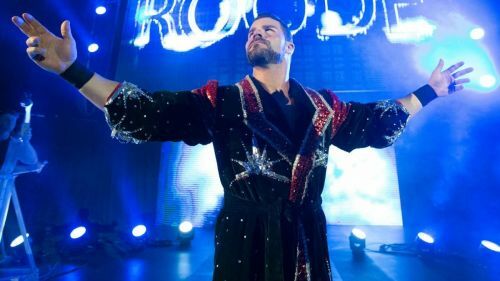 When Bobby Roode moved to the blue brand after an exceptional stint in NXT, the WWE Universe had high hopes from him. His 'Glorious' gimmick had made him one of the most popular NXT Superstars of all time. Roode went on to grow as a top-level Superstar on SmackDown Live and was featured in a United States Championship Fatal Four-Way match at WrestleMania 34, in a losing effort. Bobby Roode was drafted to Raw in the Superstar Shakeup, and thus began the downfall of The Glorious One. After dangling in the mid-card for a while, he was teamed up with another promising Superstar, Chad Gable. The thrown-together tag team went on to win the Raw Tag Team Titles from The Authors of Pain in December. Later, the duo lost the titles to The Revival. Roode was one of the Superstars featured in the Andre The Giant Memorial Battle Royal at WrestleMania 34. WWE has dropped the ball with Roode and one wonders if he will ever be able to get back to his old self from NXT.